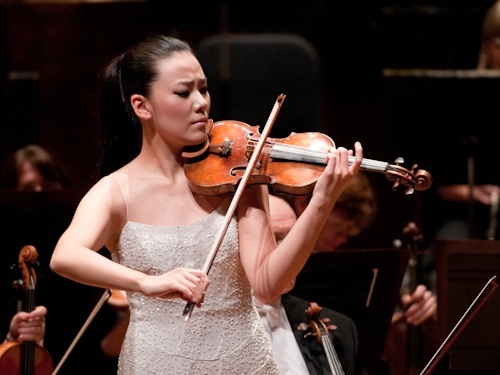 The International Violin Competition of Indianapolis has announced this year's participants for the quadrennial competition, which will be held September 5-21, 2014. Photos available here. The ninth Indianapolis competition attracted 179 applicants from 31 countries. Of the 40 selected to move on to Indianapolis, 31 are women and 9 are men, with Korea sending 13 participants, followed by the United States with nine and China with 4. The participants range in age from 16 to 28, according to the IVCI. The 2010 Indianapolis gold medalist, Clara-Jumi Kang. Photo by Denis Ryan Kelly, Jr. The gold medalist in this year's competition will win $30,000, a Carnegie Hall recital debut in Stern Auditorium, and four years' use of the 1683 ex-Gingold Stradivarius. Violinist.com editor Laurie Niles will be in Indianapolis this fall to cover the competition here on Violinist.com. You can see our archive of coverage from the 2010 Indianapolis competition at violinist.com/indianapolis. Stephen Waarts is participating... That means the winner is already known. What a fantastic lineup of talents! I can't wait to hear them! Hidde: I'm glad that you are not a juror. Have you heard all of them?